President Muhammadu Buhari has begged Nigerian youths to quash their political ambition until after the 2019 general election. Buhari made the plea on Thursday while signing into law the ‘Not Too Young To Run’ bill passed by the National Assembly last year. He signed the bill in the presence of selected invited youth from across the county at the Council Chamber of State House Presidential Villa, Abuja. 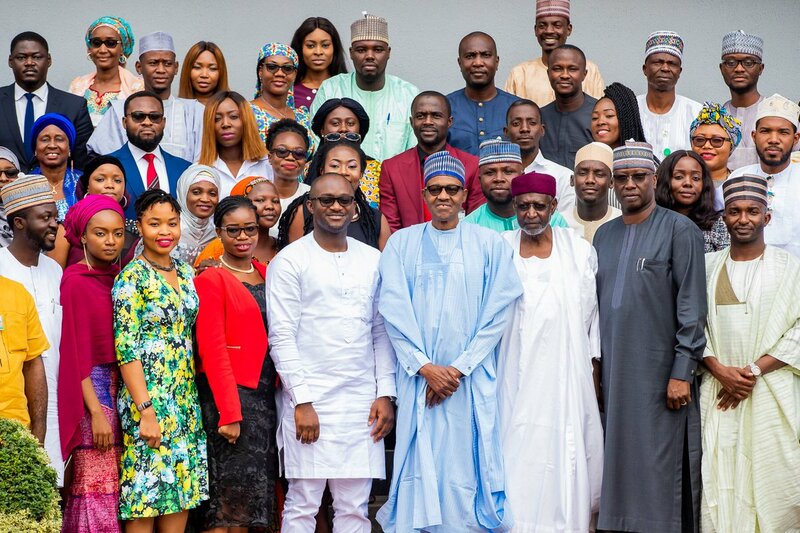 The president had on Tuesday promised Nigerians during his democracy day broadcast that the ‘Not too Young to Run Bill’ will be signed into law in a few days’ time. “I am confident that each one of you will transform Nigeria in your own way- whether… as lawmakers, … or as State governors- and even someday, as President. Why not? but Please, can I ask you to postpone your campaigns till after 2019 election!” Mr Buhari, who is seeking for a second term pleaded with the youths. The bill reduced the age qualification for president from 40 to 35; House of Representatives membership from 30 to 25 and State House of Assembly membership from 30 to 25. Since its passage in July 2017 by the National Assembly, about 25 states, representing more than two-thirds of the country’s 36 states, had adopted the bill by the end of March.